B U B B L E G A R M: A Dress? No. Love your purchases! I bought Happy Together blush from In the Groove. That's just what I bought today. LOL. I like the pink haul and the necklace is really cute! i love the stuff u got - great purchases!! i tried the mac face and body foundation it wasn't for me !! Those bird earrings are cute! I wonder if my friend would wear them, it's her birthday tomorrow and am thinking of things to get her! oh my god, that comb is soooo cute! you got some great buys. the nail polish and lip gloss are so pretty and so is the necklace! 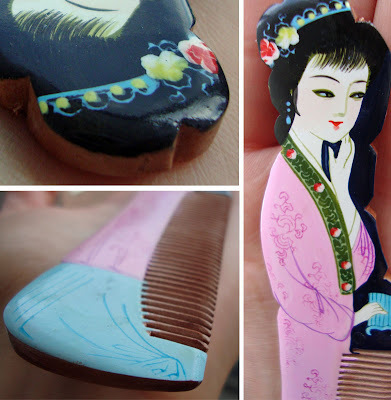 what a unique comb too! Hope all is going well for you beautiful! Cannot wait for another post from you, I always enjoy them! @Sara We should def do a swap, I haven't made anything lately :( but, there's a stall that sells peruvian earrings and these ones are quite similar but they are all cream and white, no green. I should be able to get these. Im loving all the pink.. i am also feeling the pink and strawberry vibe. My friend has this slightly milky pink dress that i just cant believe is last years.. to die for and very on your theme!! Loving those pink items you got. Question: What MAC product do you recommend for a newbie like me? great buy and swatches. The comb is so me! Love it. I also have a few books on feng shui very interesting stuff you learn when doing feng shui. You will love it. Peanut is looking just as handsome as always. That lipgloss looks great. I'd keep it as a decorational piece because it's too dainty to use. Oooooh I have that comb! I absolutely adore it! 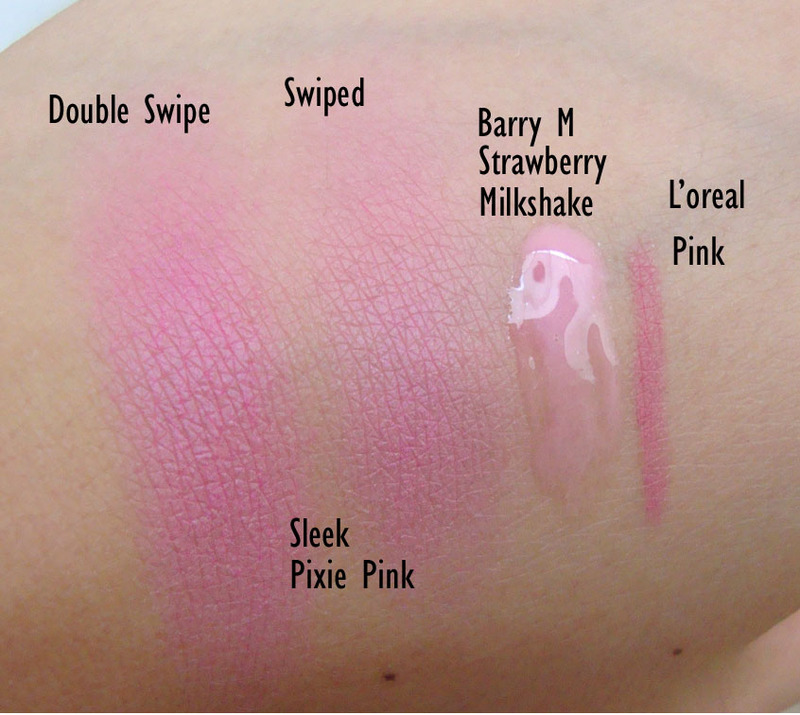 Ohhh, the Barry M products look super pink thus super gorgeous!! Today I bought some feather earrings from the Accessorize sale, some MUA nail paints, some facial tanning product from L'Oreal, some basic shampoo and conditioner and a Rimmel nail paint. I love mac face and body! and its huge and lasts forever! and today, I've been making jewelry for my Etsy shop! fun time. Awesome buys! :) I like Strawberry Milkshake (might grab one for myself :D) and the necklace!!! I love this post. :) The necklace and earrings are adorable. I do this all the time...! I pop out to buy some milk and return home with armfuls of purchases as though I've committed armed robbery in Selfridges. My poor boyfriend (and bank manager!) despair. I always play with MAC'S Face and Body but have been too scared to buy. Does it transfer onto your clothing? that's what happens to me all the time, lol - love your new items, I so need to get my MAC face and body foundation color!